Paisley Tribal brass plug with floral pattern and rope style edging, ethically handcrafted with love. Available in antique brass. Selection of sizes in stock. Sold as a pair. 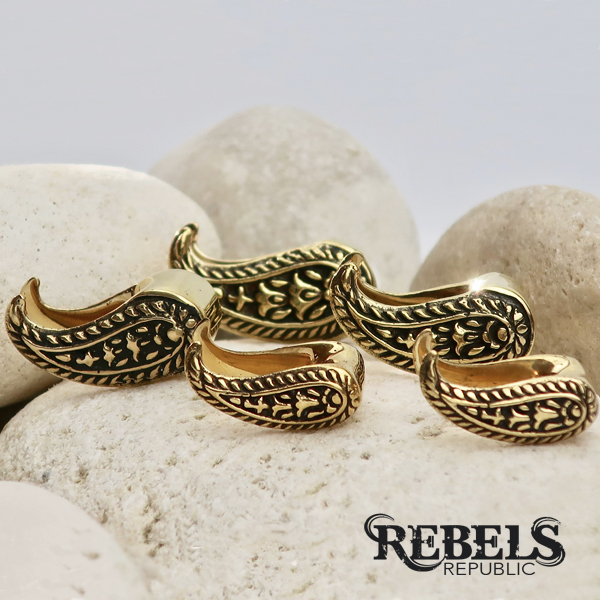 Paisley Tribal plugs, handcrafted in beautiful brass. Featuring a paisley design floral pattern and rope style edging. Smooth and lightweight for that comfortable fit.